The Scottish Cycling Youth Tour of Scotland returns for a fifth consecutive year this weekend with teams from throughout the UK and afar, including Belgium, Isle of Man, Ireland and Wales travelling to compete at one of the best youth stage races on the calendar. Over 140 young cyclists in 35 teams will descend on Perthshire for the four stage event which takes place from 1st – 4th April, with roads around Perth being closed for this unique annual event. 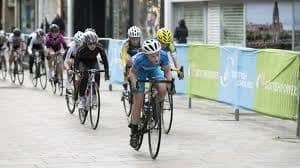 Bob MacFarlane, Events Officer for Scottish Cycling and organiser for the event, said: “The Youth Tour of Scotland is one of our flagship events and I can’t wait to see the action unfold over the weekend. “It is a great opportunity for the young riders we have in Scotland to showcase their skills and compete against the very best riders from around the UK, Ireland and Belgium. All the teams, along with volunteer team managers, will be staying at Strathallan School throughout the weekend and will be offered coaching tips and workshops from some of Scotland’s best coaches in between races. The Youth Tour of Scotland is a fantastic opportunity for upcoming talent to get the experience of what it is like to be a professional rider and what’s more, to help the winners on their way to future stardom, Tour of Britain organisers SweetSpot will be providing them with the chance to experience this year’s race at first hand. The winners will be invited to this year’s Tour of Britain, which begins in Glasgow on Sunday 4 September, where they will be treated to VIP Hospitality and the chance to see behind the scenes at Britain’s biggest professional cycle race.